Over the years, there have been a number of food scandals that have rocked consumer confidence in the food industry. ‘You are what you eat.’ It’s an often-quoted phrase, subtly telling us that if you want to be healthy, then you should eat healthy. But it also begs the question: do we truly know what we are eating? Over the years, there have been a number of food scandals that have rocked consumer confidence in the food industry. In 2013, we had the UK horsemeat scandal. Two decades earlier, we had the mad cow disease epidemic as a result of contaminated British beef. Recently, an investigation by the Daily Telegraph revealed that “Meat free” vegan food sold at Britain's leading supermarkets actually contained traces of meat. The above cases highlight that consumers are relying solely on the information on packaging and an implicit trust in the food industry when it comes to where their food is sourced from. In reality, they really have no idea. Food contamination is a constant threat for both consumers, costing UK households £1.17 billion a year. For restaurants and supermarkets, such outbreaks not only drastically affect revenues but severely damage brand trust. 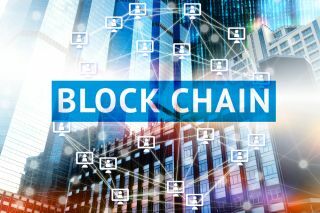 Blockchain technology has been used by financial institutions to bring transparency and immutability to currency transactions. It is essentially a decentralised ledger that stores information in a way that prevents that data from being manipulated by anyone. There is no one centralised party overseeing the network of ledgers. Instead, blockchain databases have a set of protocols that every participant in the network must abide by to ensure trust and accuracy. As it stands, the supply chain in the food industry is straining at best, wholly inadequate at worst. There are multiple intermediaries involved in a complex food supply chain, each with their own system for tracking what they do and documenting ingredients, processes and sources. As a result, data sharing within this heterogenous ecosystem is often limited to those who have direct contact with each other, resulting in incomplete and inaccurate information passing from stage to stage. Applying a blockchain-based, decentralised system to the food industry’s supply chain will benefit all the participants that play a role in the harvesting, movement, processing and consumption of food. Retailers can easily identify the sources of contaminated food and deal with major contamination quickly and effectively such as the Listeriosis outbreak in South Africa. For food producers, it means they have a complete, end-to-end view of the entire food supply chain and can see what role intermediaries have played in provenance of produce. Blockchain technology can provide consumers with a deeper understanding and appreciation of where their food comes from. Currently, consumers rely on food packaging or their own knowledge in order to choose what food they buy or eat. Even at restaurants and events, consumers choose what food to put on their plate based on what they know or what they read on a menu. However, if consumers had access to the same supply chain data that food suppliers have, perhaps in a more simplified form, it would better inform them as to where their food has travelled before it ended up on their plate. Like the intermediaries directly involved in the food supply chain, consumers can trust this data. Database systems, underpinned by blockchain technology, cannot be tampered with or altered. Due to the blockchain’s rigid set of rules and the absence of any centralised third party, all the data captured is immutable and accurate. The application of blockchain technology in manner that would be complicated for consumers would be easily achievable. For example, by integrating QR codes into blockchain technology, consumers can use their smartphones to scan a food package or menu at the point of sale and, via an app or browser, see how their food has travelled across the supply chain, from where it was sourced to where it was stored. Despite the best intentions of brands, restaurants, supermarkets and others who operate within the food sector, the fact is there are some grey areas when it comes to the traceability of food. Products can proudly label themselves as “British-made” but this could simply be marketing as the legal requirement to claim an item is made in a given country is quite loose. On closer inspection, these “British-made” food products could actually be sourced in France and just cut and packaged in the UK, but consumers are none the wiser. The capabilities of blockchain technology ensures that the origins of food cannot be hidden nor altered by food brands. Each item within a blockchain database is given a unique digital code or certificate which cannot be tampered with. By applying this methodology to the movement of food produce across a supply chain, it means brands will have no choice but to be completely transparent with customers. Unlike the banking industry, which has lost considerable consumer confidence since the financial crash, the food industry has yet to suffer the same level of scrutiny and backlash. However, that isn’t to say that consumers wholeheartedly trust the food industry. In fact, there appears to be a trust deficit, as consumers are becoming increasingly sceptical about food companies and the whole food system in general. The food scandals over the past two decades have brought to light the fragility of the food supply chain to consumers. Moreover, in recent years, consumers have become more health-conscious and are savvier about what exactly goes into their food. Within this consumer environment, the food sector has no choice but to be more transparent beyond labelling and packaging. Food brands, restaurants and supermarkets must now be able to illustrate to consumers the journey of their food. Blockchain technology gives the food sector a means to not only correct the inherent deficiencies in the current supply chain system, but also educate consumers about how their food travels from its source of origin and onto their plates. While food contamination would not be permanently eradicated because of a supply chain system running on blockchain technology, it would enable brands to deal with such incidents more effectively and quickly. If we truly are what we eat, then blockchain technology could finally enable consumers to completely understand what exactly they are eating and where it has come from.